Once you become a parent, diapers are a fact of life. For years. And in those diapering years, free time is rarely a fact of life. Save yourself a bit of time and hassle by having diapers delivered to your door by a great diaper delivery company. The Honest Company is our top pick thanks to the quality of its diapers and the large catalog of other baby care and hygiene products the brand offers. My son and daughter are four and a half years apart in age, and at the time of this writing, the young lady is about seven months old. While her big brother is potty-trained and generally self-sufficient in such matters, she is, of course, not. And she won't be for several years to come. All told, I'm probably looking at seven to eight years of my life, most of my 30s, as it happens, dealing with diapers. So I'm glad I've found some great options because diaper failure is ... how should I put this? Let's say it rhymes with "pretty," and it's not pretty. Or just say catastrophic. As important as it is to always have a supply of diapers at the ready, finding time to go to the store to replenish the stockpile is hardly the best use of what little free time a parent has. That's why my family, like so many others out there, have turned exclusively to ordering our diapers online and having them delivered to our door. You might think that means simply picking a brand, placing your order or setting up a subscription, and that's that. And... well, it is, more or less. The catch is that not all diapers perform the same way. Many babies will use one type of diaper by day and another at night, one type while out and about, another while home, and so forth. And of course no two kids are alike, either, so if you have multiple children, chances are good that you'll use at least two different brands of diapers, if not many more based on the previous qualification. Currently, we order our diapers from two companies (yes, both on the list) but in the past, I've had experience with all the diapers covered here as well as a number of others that will go unmentioned, as will the stories behind their reasons for exclusion. Let's just say this: Changing every piece of clothing a baby is wearing as well as the sheets of the crib because they're soaked through is not fun. Doing that at three a.m. is even less fun. Doing it while she is screaming at you at 3 a.m. is just really the worst. Actually, the worst is all that plus the addition of other waste that escaped confinement. Why you'll love it: If you can't find a diaper-related product sold by The Honest Company, it's almost surely superfluous, and everything the company makes is great. My son spent years of his life in Honest Company diapers, which means my wife and I have spent hours of ours changing them. Days surely, all told! From a wide variety of colorful prints to every size a kid age zero through the preschool years could need, Honest Diapers have you covered. Whether you're covering a boy or girl whose brand new and super small or old enough to be aging out of diapers entirely, Honest diapers will do the job. There's nothing particularly amazing about Honest diapers performance wise, but I've always found them reliable and we've enjoyed the many different designs. Where The Honest Company shines is in the expansive line of equally reliable products it offers. We have used body wash, shampoo, wipes, creams, and many other Honest offerings. Our five year old boy still prefers Honest's Sweet Orange Vanilla scented Shampoo + Body Wash more than any other shampoo out there, and it's our go-to with our baby girl as well. She's also slathered with the Honest diaper rash cream whenever needed. A large variety of diaper sizes and styles and a fine lineup of other products would be enough to garner The Honest Company your consideration, but there's one more thing that makes the company a great choice for your diaper delivery needs: the bundles. Honest makes it remarkably easy to create a customized delivery bundle that will show up at your door each month brimming with all the dipes, wipes, washes, and whatnot your family needs. And changing the shipment dates or the product selections is easy. A writer with WhatToExpect called Honest Company diapers "safe and effective ... beautifully designed ... and easy to purchase." Why you'll love it: It's probably little surprise that Amazon has low-priced diapers, but the amazing affordability Amazon Brand Mama Bear is certainly welcome. When Amazon does something, it's done big. The company started selling books, now it sells everything. Amazon doesn't invest in a movie production, it starts its own production company and makes its own shows and films. And when it comes to diapers, Amazon's Mama Bear brand doesn't just undercut the competition, it all but cuts their legs off, at least in terms of pricing. These diapers are at least 30% cheaper than those sold by the other brands on our list and are nearly 50% cheaper than some options. Over the years, those savings add up. Big time.The good news? These diapers are cheap and pretty effective. They have a high waist design for good coverage, flexible leg cuffs that allow plenty of range of motion while still keeping stuff inside, and a wetness indicator strip that changes color when, y'know, there's wetness. Speaking of wetness, however, most parents find these diapers less absorbent than the competitors, and they tend to sag when laden with leavings, so you will be changing them more frequently than another brand would merit. As long as you're not changing them 30% more often, though, you'll still be winning price wise. With thousands of reviews posted on Amazon, Mama Bear diapers teeter just below the four-star mark, currently scoring a 3.9-star overall rating. Most parents agree with points a dad named Mike made in his review, in which he called them a "great value" and noted that the "elastic legs and waist are the same quality as... big name brand diapers." However many people also agreed with a mom who said that "they are not as absorbent as the other brands." So keep all that in mind as you consider subscribing to a Mama Bear diaper delivery plan, which is certainly a great value for a decent quality product. And hey, don't forget about Prime shipping. Why you'll love it: The convenience of diapers delivered to your door is one thing, but the health and comfort of your kid is another. Get both by ordering your diapers from Made Of. My daughter had extremely sensitive skin in the first few months of her life, to the point of daily rashes and even a few open sores in her diaper area. Which was heart-rending to see on such a little body. Amidst visits to the doctor and trying out a slew of creams and oils and ointments, we also tried several different diapers in the search for the brand that would give her the most comfort. As usually happens with kids, she simply grew out of her sensitive skin phase, but in the process, I got to know several new brands and products. If you have a kid with sensitive skin, or if you just want to be sure you're using the most skin-friendly baby products, you need to check out Made Of. The brand's products, which include diapers, wipes, soaps, lotions, and a few other select items, are pediatrician and dermatologist tested and are almost entirely organic. Here's an interesting note, though: The diapers themselves? Not organic. But there's a good reason for that. 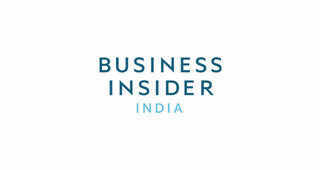 In fact, I got in touch with the founder of the company, Igor Bekker, for the explanation. He explains that "everything except the diaper is NSF Organic. [The] reason we chose not to proceed with organic cotton is that it has poor absorbency." I, for one, would prefer a diaper that's safe for sensitive skin and highly absorbent though not organic, than one that was 100% organic yet leaked urine and stool all over the place. You? And if you commit to Made Of diapers and other products, you can use its bundle system to save a bundle over the course of the year. Ordering via diaper subscription makes the items almost 40% cheaper than ordering on a one-off basis. Why you'll love it: Pampers Pure are the only diapers that have reliably kept our daughter dry throughout the night, and they're hypoallergenic and free of chlorine, bleach, latex, and so forth. To be honest, most diapers these days are free of chlorine, bleach, latex, parabens, phthalates, mustard gas, red wine vinegar, and all sorts of other stuff you just as soon not have touching your kid's skin. So while it's nice to know that Pampers Pure diapers are hypoallergenic and free from all that nastiness, that doesn't really set them apart. Contrary to what you might expect from the juggernaut brand that is Pampers, the Pure line isn't cheap. In fact, the Size 3 diapers my daughter currently wears cost about 42 cents per diaper (compared to 21 cents for Amazon's Size 3). So why are we such devotees of Pampers Pure diapers? Well, when Pampers says its diapers offer up to 12 hours of leak protection, the brand means it. Until we started using Pure diapers, our girl was soaking through her onesie, pajamas, sleep sack, and crib sheets multiple nights a week, leading to the truly trying chore of changing linens and clothes and the diaper itself in the middle of many a long night. Pamper Pure diapers absorb so much waste thanks to a large amount of cotton used in their construction and a generous dose of AGM (absorbent gelling material) along with a snug waistband that ensures a good fit. A dad named Vaughn felt much the same as we do when writing his five-star Amazon review of Pamper Pure, saying the "biggest difference [compared to other brands] is the protection which lasts through the night." Others did comment on the price, though, such as a mom named Sarah who called them "very expensive" for a "small box" of diapers. Why you'll love it: If you care about diaper performance but also want to know where they came from and how they were produced, Parasol diapers are the ones for you. First, let me make one thing clear: Parasol makes good diapers. They're comfortable for the kid, easy to put on, and they're great at managing fluids, drying in seconds thanks to highly absorbent materials including microgel beads. Also, they feature some of the quietest pull-tabs I've ever seen (or rather heard ... or rather not heard), helping you keep your baby asleep or at least calm during a diaper change. 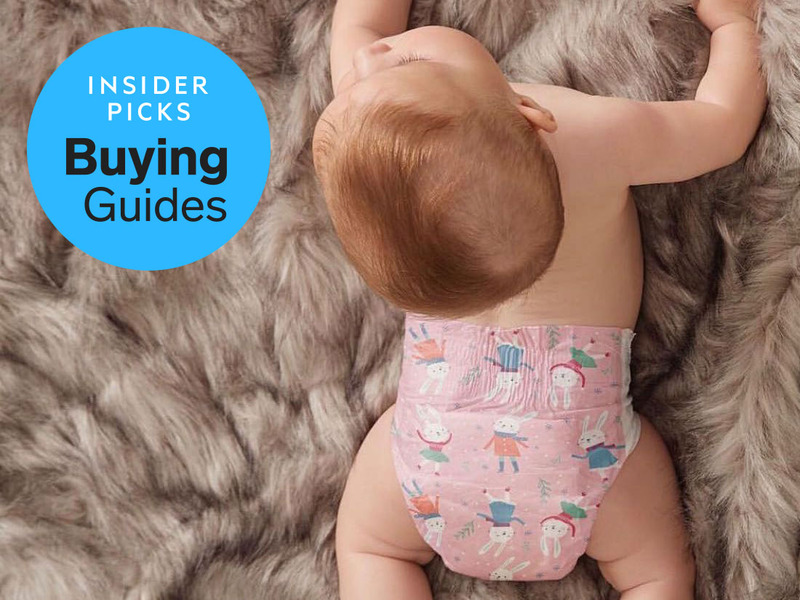 All in all, Parasol diapers compare favorably against most other brands I've used but don't stand out remarkably in any category performance wise beyond the noted softness and quiet tabs. But if you put a value on the environment, you're going to value this company. Parasol is not only firmly committed to meeting all health and environmental standards regulating the industry, but in fact, the brand goes well beyond that. Parasol diapers are made with materials sourced from responsibly managed forests to reduce environmental impact. The company also invests in spreading environmental awareness. But hey, people matter, too. Which is why you'll love the fact that Parasol is dedicated to workplace safety, ensuring its production facilities are free of harmful materials. A writer from SweetMiles called Parasol diapers "safe and sustainable" and noted that they have undergone "the most stringent environmental testing." A mom named Amber who reviewed Parasol diapers on Amazon noted their quality, saying they had the "softness of cloth" and that she was "impressed with the fit." Amber and others did mention some occasional leaking issues, though.